If you are at the beginning of your wonderful journey into the universe of cannabis, welcome. There is a lot going for cannabis; there is a good reason literally hundreds of millions of people do it. But there are a few things it is good to know before you begin, so relax, put the doobie down and follow us through. The first thing you have to know if you are getting into cannabis is whether it is illegal in your country. Get to know the law and try not to break it. Happily for everyone, cannabis is becoming legalized across the world, if very slowly. Ignorance is no excuse in the law, so if it is illegal and you get caught doing it, saying you didn’t know won’t help you. The best assumption is that it is illegal until you can find out for sure. Go from there, be safe. Cannabis can screw you up. It is a drug, and like any drug, if you take too much of it, it will harm you. For young people, males in particular, there is a risk of triggering schizophrenia and psychosis. This is generally through heavy use but even a little can have long-lasting effects on the mind. It also affects memory and reasoning skills; heavy use might knock a few IQ points off if you take lots of it over a long period. A little goes a long way. If you are starting out eating/smoking/vaping weed, you probably won’t be able to keep up with your friends who have been smoking it longer. Modern weed is strong, it has been bred to have high concentrations of THC and other delicious cannabinoids, so chill out, have a little and see how you feel. Weed is meant to be enjoyed or used as a medicine, so if it isn’t helping you or you aren’t enjoying the effects, don’t do it. Most of what you read about medical cannabis is probably wrong. The studies into the safety and efficacy of medical cannabis are unfortunately small and not very representative. It is hard for solid conclusions to be drawn about long-term risks and the actual way cannabis works because it has not been studied very much. This is because of the continued prohibition of cannabis around the world. 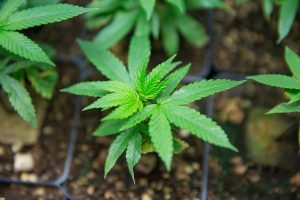 Medical cannabis can help with immune conditions like rheumatoid arthritis, Alzheimer’s and MS. Other benefits include relieving nauseated chemotherapy and AIDS patients, helping to increase the appetite of people with eating disorders like anorexia, can help treat schizophrenia (not just trigger it) and PTSD, is effective against neurological pain and some forms of cancer. Bear in mind that those benefits are only just better understood than anecdotal evidence as the science is in general pretty terrible. CBD, or cannabinol, does not get you high but can have some cool benefits. It is the part of cannabis that seems to help with mood, epilepsy, some forms of autism, psychosis, eating and even breast cancer. It is early days to know exactly what it does and how it does it, but CBD appears to be something of a wonder drug, if you are to believe the hype. Certainly, the initial results of trials show it is safe, non-toxic, non-psychoactive and particularly effective as an anti-inflammatory and antioxidant. Regardless of what governments like to say, cannabis is one of the safest drugs known to humanity. Nobody has ever died from taking it (it is essentially impossible to overdose on cannabis), long term use is associated with some cognitive deficits, and if you smoke it, it can give you cancer (not nearly as badly as tobacco). Humans have been smoking dope for at least 3,000 years and there have been few negative effects, especially when compared to alcohol and tobacco. Start by vaping or eating it. Cannabis when eaten takes longer to start having effects, and can be a much gentler and enjoyable experience. Vaping is just much better than smoking, so if you can avoid smoking anything, that is obviously a benefit. When eating, be very sure you know your dose. Start small and give it at least an hour before you take any more, or you might end up in the hilariously unfortunate position of having taken a double dose when one was good enough. This is funny for everybody else, but not necessarily for you. You don’t need all the gear. A cheap vape and a good grinder will do to begin with, alongside some excellent ganja, of course. The grinder will make cooking and vaping your dope much more consistent and enjoyable, and the vape will stop you from having to bong or smoke it in a joint, both habits well worth avoiding. Try get a vape with a few temperature settings and a good battery life, it will pay for itself. Untaxed marijuana funds cartels and organised crime. When countries make cannabis illegal, it pushes the production into the hands of criminals, who use that money to invest in their other criminal enterprises. These include human trafficking, prostitution, extortion and murder. When it is taxed and regulated, the revenues of cartels criminal outfits are significantly reduced and the amount of violence and organized crime in a regulated area drops. If you are buying weed that you don’t know where it comes from in a country where it is illegal, there is a chance it was grown by slaves and the profits will be used by gangsters. Ethically, cannabis can be a terrible choice to make. The case for legalization had been made when they first prohibited it, but now the evidence is overwhelming for the legalization and regulation of cannabis being both a benefit to the government and to society as a whole. The UK estimates it can raise up to £1 billion a year through taxing cannabis but the government refuses to decriminalize or legalize it, against popular support.